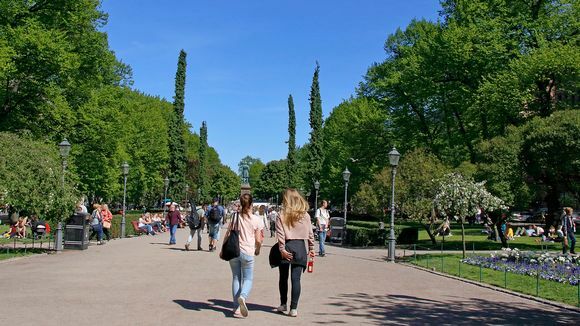 According to statistics from the World Health Organisation, the air in Finland is the cleanest in the world. Finland's air quality is better than that of any other country on earth, according to statistics from the World Health Organisation published by the Finnish Meteorological Institute. Monitoring stations suggest that there are some 6 microgrammes of small particles per cubic metre of air in Finland, the lowest figure recorded worldwide. Air quality in Estonia, Sweden, Canada, Norway and Iceland come close to that figure. Asia and Africa have some of the worst air quality, according to the WHO, with nine out of ten people worldwide breathing polluted air. The lowest-ranking countries in the comparison were Uganda, Mongolia, Qatar, India and Cameroon. The places with the worst air quality had quantities of small particles some ten times greater than the locations at the top of the ranking. The index is based on measuring station data from some 2,500 different locations collected between 2008 and 2016. Pia Anttila of the Meteorological Institute says there are clear reasons why Finnish air is among the cleanest. She says the Nordics, Canada and Estonia are all far away from concentrations of polluting industry. "For a long time we've been implementing environmental protections in industrial sectors," said Anttila. "Our cars are also relatively good when you compare to the average global automobile."